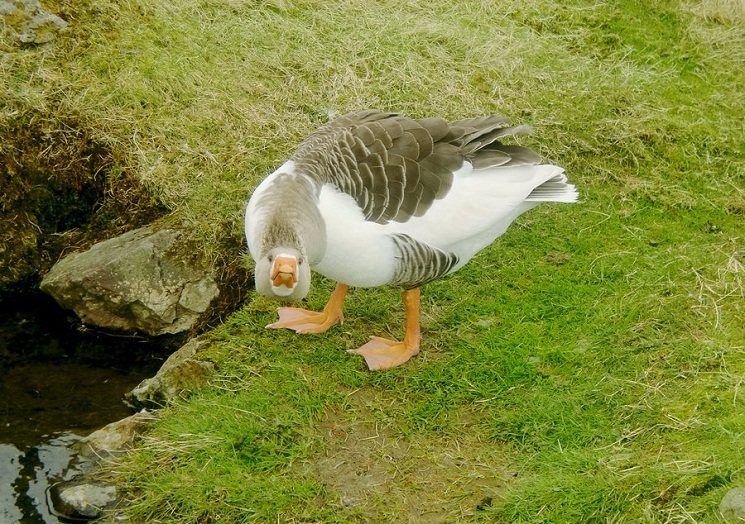 The Faroese Goose is a breed of domestic goose that is indigenous to the Faroe Islands in Denmark. They are mostly reared for their valued meat, as well as, for their feathers. Nothing is conclusive about the origin of this goose breed. However, it is thought that, the Faroese goose is the direct descendent of the tame goose that were brought to the Faroe Islands from the British Isles and also from Scandinavia by the Landnam people. 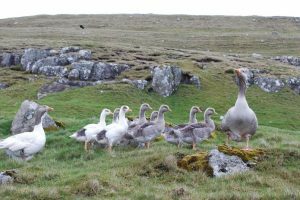 Goose culture had always been prevalent in the Faroe Islands since there were no predators that would kill these birds, and they continued to exist for centuries. 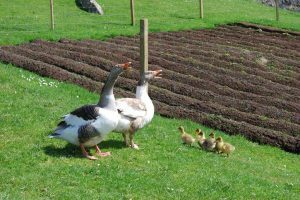 In 1990, the population was described as an independent goose breed in Denmark’s journals ‘Skandinavisk Fjerkræstandard’ and ‘Geflugel Börse’. This popular table bird has a very tender and juicy meat, and is slaughtered usually around December. While the goslings grow up quickly, they are ready at a weight of 4–5 kg (9-11 pounds live weight). Before slaughter, the chicks are fattened for three to four weeks. The meat is often salted lightly or wind-dried and is stored as winter supply. 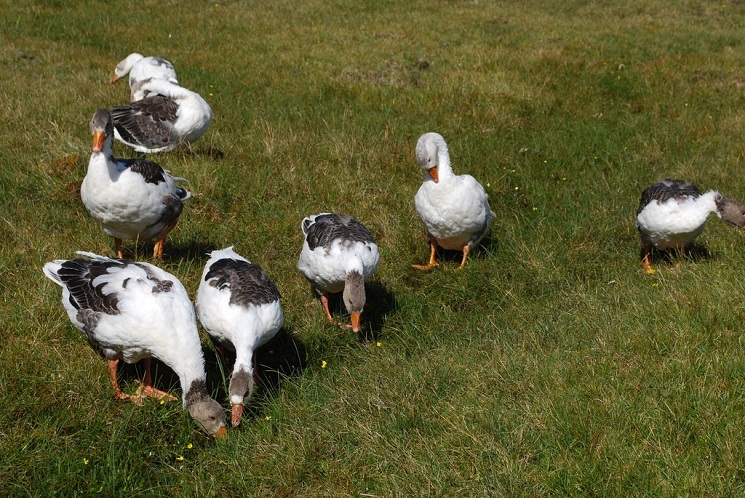 The Farose Goose is considered to be the oldest form of tame goose in Europe. This goose is a favorite table bird during Christmas.